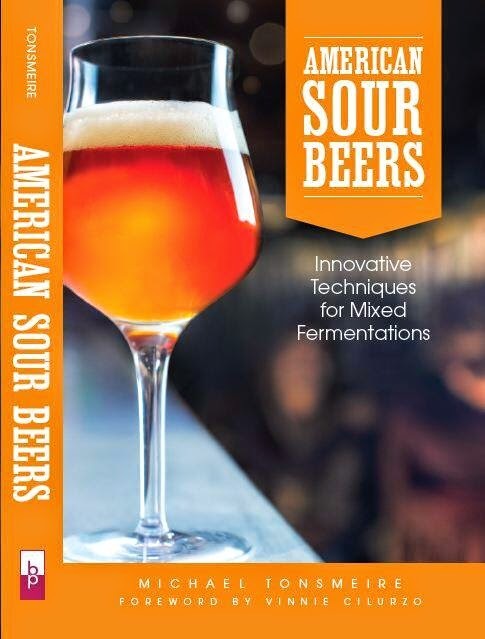 This was originally a portion of Chapter 11, which covered adding spice/herb flavors to stock sour beers that already contain hops, but there are also beers that contain no hops at all. For centuries European brewers added a blend of bitter and aromatic herbs called gruit to balance the sweetness of the malt. Beers brewed with a similar blend of herbs and spices are now known as gruits. Most of the historic spiced beers would have quickly developed a sour character because they lacked both the anti-microbial power of hops and pure strain fermentations. While the exact gruit formulations were kept secret, the combination of yarrow (bitter, sage-like), marsh rosemary (spice, sour-ish), and sweet gale (spicy-eucalyptus) is generally regarded as the standard base. This is the combination many brewers add to their first batch of gruit, and it can work well (although generally not in equal parts). For more historical accuracy you can add a small amount of smoked malt as HaandBryggeriet and Brouwerij de Molen did on their collaborative Menno & Jens (a gruit that had a unique flavor that was smoky, tart, and herbal). It included 80% wheat and rye, and was spiced with a combination of yarrow, Myrica gale, and mugwort. The result was complex, with all of those wild flavors playing with each other differently on each sip. Rather than trying to recreate the flavor of historic gruits, some brewers make the concept their own. For example, Upright Brewing added lemongrass, hyssop, bitter orange peel, and Sichuan peppercorns to their Reggae Junkie Gruit. The herbs and spices were selected on a trip to a spice store. The resulting beer had a potent, though not overpowering fruity-herbal aroma. The brewers soured a portion of the batch in a gin barrel to create Special Herbs, part of their Sole Composition series. As with hoppy sour beer it is best to go easy on bittering herbs (e.g., wormwood, sweet gale, yarrow, marsh rosemary, and Labrador tea) and instead concentrate on later additions for a more aromatic character; this is similar to the standard hopping strategy, as sour and bitter do not mesh together well. The bitterness from small amounts of herbs tends to be quick, not lingering like hop bitterness, which makes herbal bitterness somewhat more compatible with acidity. However, while hops need a long boil to isomerize their alpha acids to create bitterness, many other herbs contribute bitterness without undergoing a long boil (especially wormwood and mugwort). Cambridge Brewing Company (CBC) is one of the most innovative American breweries when it comes to gruits and related hopless beers. Brewmaster Will Meyers was initially inspired by European beers like Williams Brothers Fraoch Heather Ale and the dubbel-ish Jopen Bier’s Koyt, but felt that they were too restrained in their spicing. When developing recipes, his first step was to evaluate the classic herbs, starting with smelling and tasting samples of each. Meyers steeped 2 tablespoons (30 mL) of each in a cup (237 mL) of 180°F (82°C) of water, tasting each after one, thirty, and sixty minutes. This gave him an idea of how much time each herb required for optimal extraction. Meyers raised the option of brewing single-herb experimental batches, but also said that he had not learned much more from them than he did from the teas. His biggest discovery from these trials was that he did not care for the strange sour flavor of marsh rosemary (Ledum palustre); substituting Labrador tea gave a flavor that was less aggressive and preferable to his palate. When Meyers uses marsh rosemary it is in small quantities, and only for the sake of tradition. Meyers and his brewers harvest 1 pound of wild heather per barrel (.4 kg/hl) in Westport, Massachusetts (overlooking Buzzard's Bay) for their Heather Ale. The beer also receives a few ounces of lavender and sweet gale. Aged in Chardonnay barrels with Lactobacillus, and served at The BeerAdvocate Extreme Beer Fest Night of the Barrels festival in 2007, it tasted brightly acidic and remarkably fresh for a five-year-old 4% ABV beer. In this case, the sourness balanced the malt because none of the herbal additions provided much bitterness. 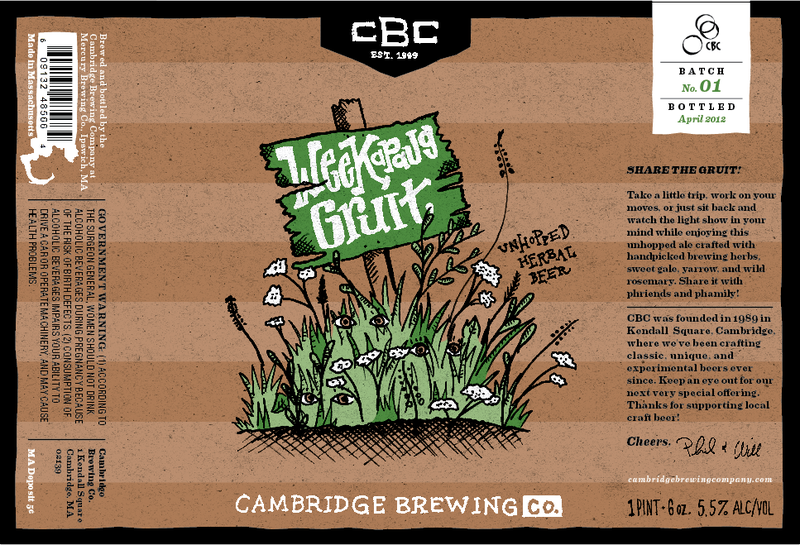 CBC's Weekapaug Gruit is a clean fermented beer based on a mash of pale and dark caramel malts, along with wheat, oats, and rye. It is fermented with their house Belgian ale strain, which is allowed a free-temperature rise. Weekapaug has the right balance of herbal complexity, but on tap it lacked the sourness that I loved in the aged Heather Ale. Luckily, the first bottled batch was nicely tart (possibly from the marsh rosemary). For a recent 10 bbl (12 hL) batch, Meyers added a substantial addition of 1 pound (.45 kg) of heather, but the rest of the additions were between a half and 4 ounces (14-113 g). Remember that these amounts are for a commercial batch, so for a homebrew amount an accurate scale with .1 gram precision is necessary. Early boil additions included stinging nettles, Labrador tea, heather, and aged hops. Additions at the end of the boil included yarrow, licorice root, as well as more nettles and Labrador tea. Meyers planted many of the more obscure herbs in a bog near the cabin where he produces 100 cases a year of grape wine as Linus Creek Wines. For each batch of Weekapaug he makes subtle adjustments to the recipe depending on the aromatic intensity of the individual herbs. Gruit is one of the most interesting and least explored areas of commercial brewing today. They take the spicing of beer back to the same time that sour brewing brings the fermentation. A word of warning however, in addition to the well-known risks posed by alcohol, some of the herbs (most notably mugwort) that are added to gruits are extremely dangerous for pregnant women to consume. Hygieia: A Woman’s Herbal by Jeannine Parvati and Stephen Harrod Buhner’s encyclopedic Sacred and Herbal Healing Beers have more detailed information on herbs that are of concern. Craft brewers are not the only ones to feel the lure of gruit. In the summer of 2011 I drove out of DC to the border between Virginia and West Virginia to brew a gruit over an open fire with two gruit-nerds, Marty Fair and Martin Gross. When they started brewing gruits a couple years earlier they bought most of their herbs in bulk from online specialty shops, but have since started either growing and foraging many of the key ingredients for themselves. The only one of the mainstay herbs that is problematic to acquire is marsh rosemary, which they buy for 10 USD a jar from a Canadian who forages it. Like Will Meyers, they too feel that Labrador tea is the best easily accessible alternative. They brew 30 gallons (114 l) at a time, boiling in three converted kegs that sit on a metal rack above an open fire pit. Fair builds guitars for a living, and as a result has plenty of scrap hardwood to burn. While certainly closer to the way beer was brewed for millennia before the discovery of natural gas and propane, the open fire did not add a noticeable character to the finished beers. However, their method certainly gave the brewing process a more primal feeling. The bow-hunted venison that was roasted over the fire, and then served for dinner only enhanced the experience. The most impressive thing about the gruits they shared (Classic, Sage, Burdock Root etc.) with me was that despite being young they did not have an overpowering herbal flavor (something that plagues several of the commercial examples, like Professor Fritz Briem 13th Century Grut Bier). Fair and Gross are still tinkering with the timing of their herb additions, sometimes adding all of the herbs near the start of the boil, and others saving the more aromatics herbs for an addition 10 minutes from the end of the boil. Their gruits develop a tart character from being allowed to cool loosely covered outside overnight before they pitch dried yeast. One gruit-like beer to experience is Beyond Kombucha's Sour Love. Although not completely hop free, it has a pinch of Santiam hops, it includes 9 Brazilian aphrodisiac herbs and yarrow. It is brewed with a Jun tea that is oak fermented before being used in the brewing process. I have been interested in using Hesperoyucca whipplei (chapparal yucca) in a gruit or beer for some time now, after reading that its flowers were used in brewing a bitter tea by the native Chumash. I haven't been able to brew it because it seems that I always get way too busy with work this time of year (it's due to start flowering soon). I hope to be able to put a brew together this year, or at the very least, forage and dry some flowers for a future use. Great post mike! Very interesting. My HBC the Northern Craft Brewers had a meeting/charity beer festival last weekend and some of the guys were sharing samples of their gruit experiments. My personal favourite used rosemary, bog myrtle and yarrow. Such a perfumed bitterness, it was hard to believe there was no hops. I will definitely be trying my hand at one shortly. Looking forward to my copy of ASB arriving soon! One month ago I wanted to brew but I had no hops and started to google until I discovered about gruit. I've brewed a gruit with some herbs, teas and lemon. The result was very bitter due to the lemon and almost no carbonation. But I think I will try again in the future. Interesting post. Particularly interested to see that Cambridge found Ledum to be sour and unpleasant. I have tried making this style for a few years with some success. As a practicing herbalist and amateur botanist who lives in Ireland, I am lucky to be able to go out into the countryside and gather all the herbs required with relative ease. I have spent a bit of time researching the provenance of bog/marsh rosemary. When I first looked at the recipes I was confused because Ledum palustre does not occur at all in Ireland, Wales, the Scottish highlands and almost the entirety of Southern England, Norway Sweden, Netherlands, Belgium, and France. You can see for yourself on this European nature info website by the European Environment Agency (eunis.eea.europa.eu/species/169499)-click the distribution tab. Whereas as another plant, that in English is called bog rosemary (Andromeda polifolia), occurs over the entirety of all the Nordic countries, Germany, Netherlands and most of Belgium, UK, and Ireland (Use same website as above but substitute these number for species 169573). Not only that but Andromeda has potent narcotic properties so it would also fit into the profile of some of the recorded effects produced by gruit. The assumption that bog rosemary in these recipes is Ledum palustre (now classified as Rhododendron tomentosum) is solely due to endless 3rd party internet regurgitation of Buhner's writings on the subject in Sacred and Healing Herbal Beers. Which is a great book and I know the man and like him. However I don't think he did his homework on this one. He does derive a lot of his info from the 1970's ethno writings of Odd Nordland in Norway and perhaps he gleaned it from there. However the book Ethnobotany in the New Europe: People, Health and Wild Plant Resources (Studies in Environmental Anthropology & Ethnobiology)has an entire chapter (Norway's Rosmarin (Rhoddendron tomentosum) in past and present tradition) dedicated to this plant's usage in Norway and there is no mention of fermented beverages using it (just medicinal teas). So other than Buhner's writings I have found no source that ascertains it is Ledum or Andromeda that is Bog Rosemary. Commoner plant usage in medieval times certainly in Ireland/ Scotland, Scandinavia would hardly involved plants that needed to be imported. For anyone interested in trying Andromeda you will be unfortunately unable to purchase it at present as I am unaware of anyone selling it as a commercial herb. If you are able to harvest it, beware it produces toxins when boiled so a cold infusion (dry hopping) would be required. It is narcotic enough to cause death in sheep so use tiny amounts I'd say. Anyone else have any info on this matter?